For your kiddo turning 4. Can be made in any color font. 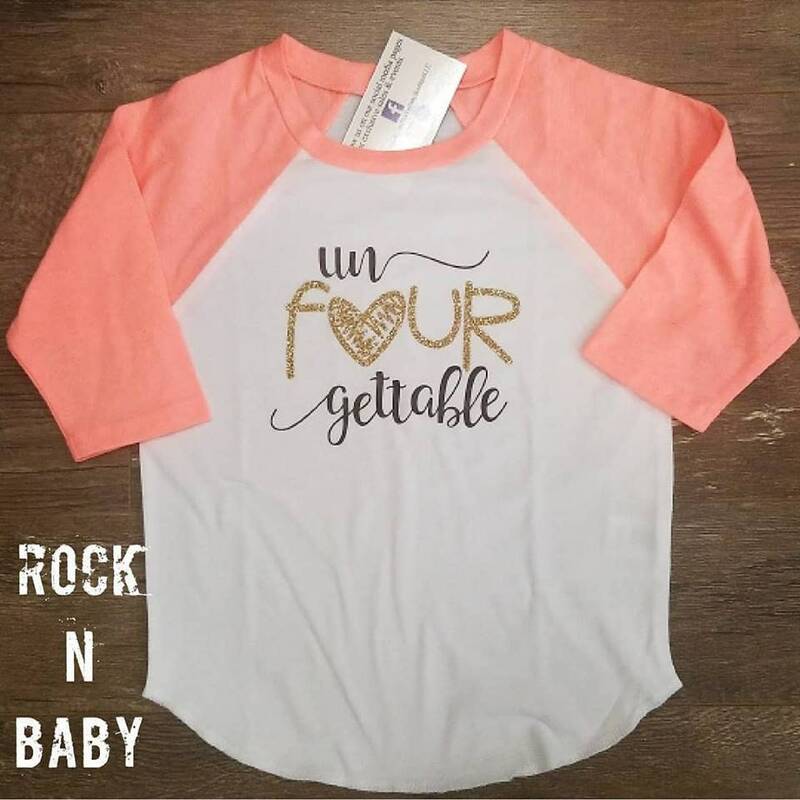 If its for a boy, we can do no glitter colors....for a girl, keep colors and font as is and choose your color raglans sleeves. Shirts run true to size.